Hijikata is so cute! Nice scan! Thanks for sharing! ?????.... I want I want! Thanks! ooh! hijikata is too gorgeous for words to describe! lol! Cool scan, thanks for upload! this pix in anime ? Toudou is so cute ;^; Thanks for sharing! 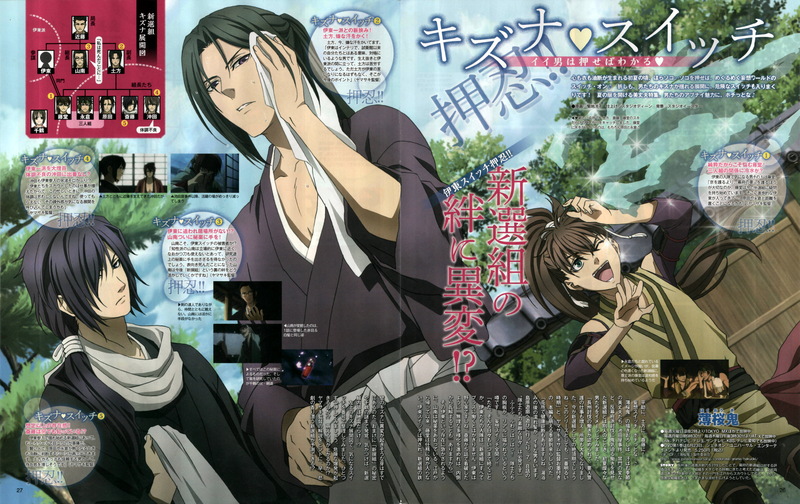 Hijikata in summer/hot days.. sweating.. XDDD anytime!